Link schemes make way. Will PageRank again become a reputable symbol of authority? 1. How was this PageRank 1213 Update different from the others? 2. Recalibrating? - Joshua musing a Y2K of the PR Toolbar. 3. The real skinny on, "How PageRank updates work?" 4. PageRank is "always updating, it's continuous and continual." 5. 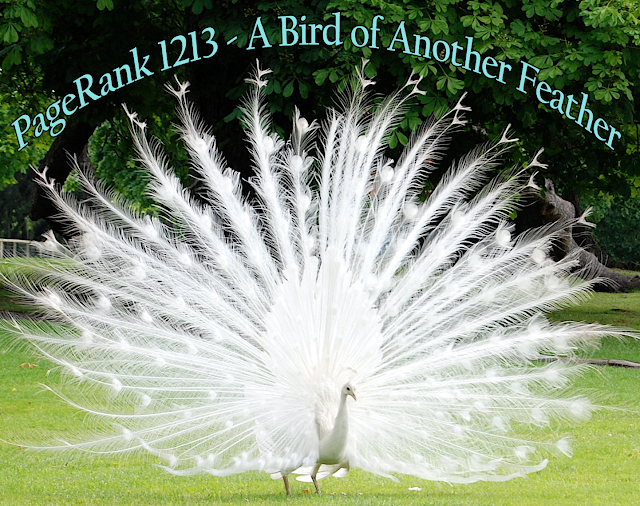 The PageRank 1213 Update is only current up till September. On December 6th, 2013, a Google PageRank Update rocked the SEO industry. Not only were webmasters not expecting it, some had even predicted the PageRank Toolbar updates might go away altogether. This after Matt Cutts suggested he'd be "surprised" if we'd even have another update this year, not to mention all the other changes Google has been making. Personally I was not surprised these PR Toolbar updates have continued, as I believe they can provide more value now than they ever did before & not just to the SEO community, but to the web at large. In May Google let loose Penguin 2 and then in August arrived Hummingbird, finally in December we have the rarest PR Toolbar update ever, and she is definitely a bird of another feather, compared with any of the past updates. I'm calling her PageRank 1213. It has been almost a year since the last PR Toolbar happened in February & the Google Search algorithms have changed unprecedentedly since then. "So what has that got to do with PageRank?" you say. "Those changes are entirely separate algorithms & have nothing to do with them." But is that really so? Why does the PR of my website & so many others appear to have dropped? Why hasn't my PR increased in spite of all the quality link building I've done? Why do many newer pages & sites show no PR at all, despite receiving many links? Where did Google Plus PageRank disappear to & can I find my new profile PR?